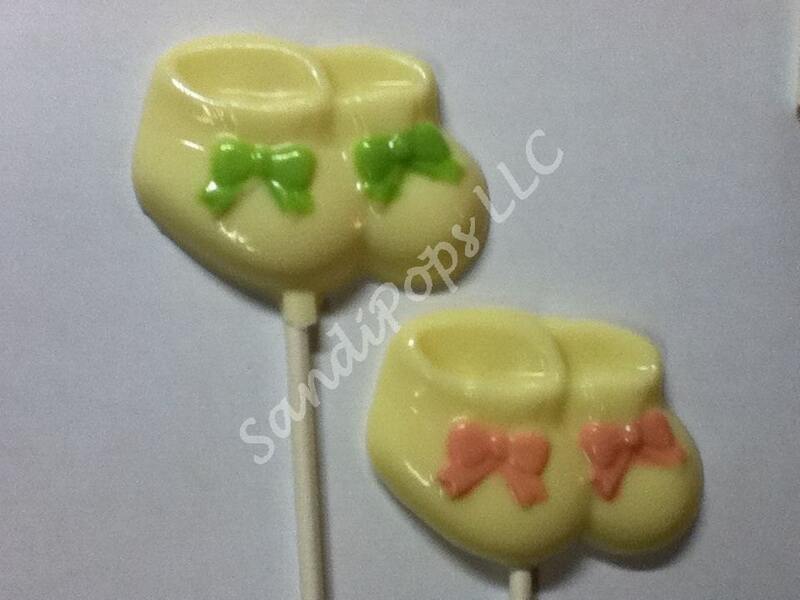 These delicious vanilla chocolate lollipops are made-to-order and will make a perfect addition to your baby shower / party / announcement / birthday. They can be used as a party favor, thank you, centerpiece arranged in a container or a cake topper. Please specify ribbon color(s). This listing is for 24 BOOTIE lollipops with your choice of "baby" and bow color(s).Can be made in single color for a little less :) Also available with rattles. Each lollipop is individually wrapped in a bag and tied with a curled ribbon in a corresponding color. I can certainly make any number of pops you need, convo me for pricing. I will make what you want, lets chat about the pricing of custom orders.